You can win your way into the WSOP Main Event by playing one of many online satellite tournaments. Today we will focus on this year’s WSOP with Full Tilt and the details of their incentives. For as little as $3.30, you can win your way up to a $12k WSOP package at Full Tilt Poker! The Main Event seat worth $10,000 is, of course, included in your package, as well as $2,000 in cash for expenses. It also includes a dinner with the Full Tilt Poker pros and Full Tilt Poker merchandise. If you wear Full Tilt gear and sign a Promotional Agreement, you get a lot more added to your WSOP package. First off, you can save the $2,000 cash for food and travel expenses because you will receive five nights accommodation at the Rio. You probably know that the Main Event goes much longer than five days, though! Don’t worry because if you can go deep in the event, Full Tilt will extend your stay at the hotel. The biggest potential benefit is a ten year endorsement contract with Full Tilt Poker worth $10 million! Win first place and a Full Tilt sponsorship is all yours. This contract will have you representing Full Tilt at promotional events and tournaments, and you must play at least ten hours each week in their online games. $1 million per year for ten years is a pretty good salary for these duties! All Full Tilt November Niners receive some bonus cash regardless of whether or not they win. For example, 2nd place receives $400,000 and 9th place receives $150,000. The best thing about this money is that there are no strings attached (ie. no contract). All Full Tilt players that sign a Promotional Agreement and cash the Main Event also get their 2012 Main Event entry paid for. 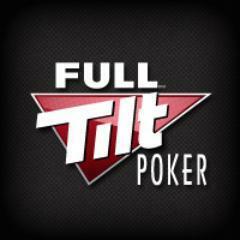 If you like playing MTT qualifiers, you can play multiple satellites to the WSOP on Full Tilt Poker. Each package won (after the first) gets credited to your account as T$, and you also receive a seat for the $35,000 MET Freeroll Tournament. Multiple WSOP packages means multiple tickets to this freeroll tourney. I’ve already talked about Full Tilt WSOP promotions. There are countless options when it comes to where you could play, however, and a lot of the poker rooms are gearing up their promotions towards the biggest poker series in the world. If you play at bwin poker, you’ll be happy to hear that they are included in this group of rooms offering Main Event satellites. Bwin.com’s World Series Main Event prize package is valued at $15k. You get your $10k tournament buy-in and also $2k for flight and expenses. You also get to stay at the Venetian Palazzo (which is where the other $3,000 goes). You an also aim for the Side Event package. The package includes entry to the $1,000 Event 54 side event, and it is worth $3.6k. This package gives $1,100 for miscellaneous expenses and $1.5k for a stay at the Venetian Palazzo. You will have a myriad of chances to win one of these packages. There are WSOP Main Event qualifiers running everyday until June 5th. If your bankroll is small, don’t worry because they start as low as $2.20! Winning one of these will grant you access to the WSOP Main Event Final. This satellite runs at 20:00 GMT on Sundays and awards a minimum of one package per week. You can win a Side Event package in similar fashion. The Side Event Finals take place twice per week, though, on Tuesdays and Thursdays at 20:00 GMT. Also, Two packages are guaranteed per Side Event Final. If you can’t afford any of the satellites, you can try the freeroll path to the WSOP. You get ten chances at WSOP 2011 Weekly Freerolls that take place on Saturdays at 20:00 GMT. These freerolls award tickets to the WSOP 2011 Freeroll Final that will happen on June 4th at 20:00 GMT. The Freeroll Final will award 2 $15k Main Event packages and 3 $3,600 Side Event packages.